V-Grid Energy Systems, Inc. is a growing high tech startup focused on innovations in renewable energy. The company’s lead investor is EXELON Corporation, one of America’s top electric utility companies. The company is starting to deliver breakthrough technology to California Central Valley farmers to reduce their crippling water irrigation bills and to help rebuild their farm soil for long term sustainability. The company is engaged in research and development, prototype fabrication of electronics and complex electromechanical systems with ongoing testing and refinement. 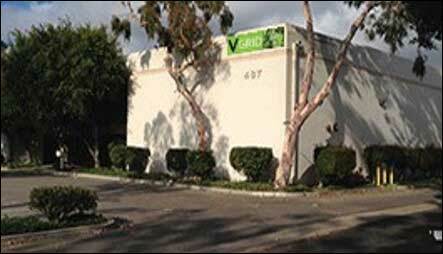 V-Grid has approximately 60,000 square feet of laboratories, machine shops, fabrication facilities and testing facilities in Camarillo, California.